Cyrenaica, the eastern region of Libya, has elected a regional congress and declared semi-autonomy from the capital Tripoli. 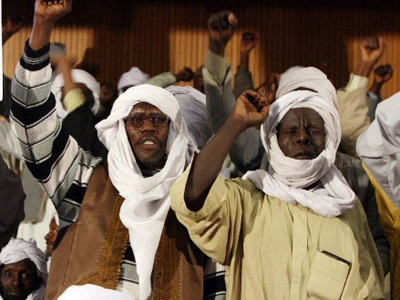 The “blatant call for fragmentation” of the country was condemned by Libya's ruling NTC. Thousands of major tribal leaders and militia commanders attended a celebratory ceremony in the region’s center Benghazi on Tuesday. The congress stated that Cyrenaica had suffered decades of marginalization under the ouster ruler Muammar Gaddafi. Now the oil-rich region extending from the coastal city of Sirte to Egyptian border is taking its fortunes into its own hands. The congress appointed Ahmed al-Zubair Ahmed, who was a political prisoner under Gaddafi and currently is a member of NTC, as leader of its governing council. Despite being a part of the Libya’s official ruling body, Al-Zubair pledged to protect the rights of the eastern region. Libya’s National Transitional Council, which started uprising against Gaddafi in Benghazi and moved to Tripoli after his overthrow, repeatedly voiced objection to the planned autonomy. They said Libya’s transformation into a federal state paves the way to eventual split-up of the North African country. The head of the NTC, Mustafa Abdel Jalil, said the call for autonomy is a foreign plot. "I regret to say that these (foreign) countries have financed and supported this plot that has arisen in the east," he told reporters. "I call on my brothers, the Libyan people, to be aware and alert to the conspiracies that are being plotted against them and to be aware that some people are dragging the country back down into a deep pit." The East, however, is pushing for a return to a system of rule that existed before the coup of 1967 which brought Gaddafi to power. At the time Libya was divided into three states – western Tripolitania, south-western Fezzan and the eastern Cyrenaica (or Barqa in Arabic). A co-founder of the move for autonomy, Abu Bakr Baaira, pointed out that a federal system did not lead to a division of such countries as the US and Germany. Barqa will follow a peaceful way of making Tripoli and the NTC recognize its autonomy. Baaira does not rule out a possibility of going to the UN for such recognition. The Easterners have already formed their own army, the Barqa Supreme Military Council, which is independent from the NTC. The army is made up from revolutionaries who fought against Gaddafi rule last year. And now the forces are ready to fight for autonomy, Barqa commander Col. Hamid Al-Hassi says. 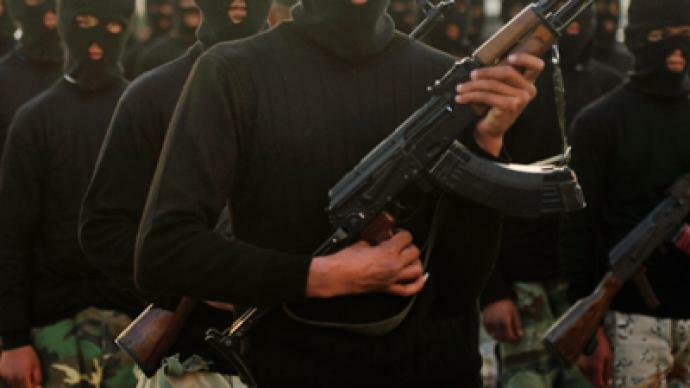 “Even if we had to take over the oil fields by deploying our forces there or risk another war, we will not hesitate for the sake of Barqa,” Hassi told the Associated Press. It is unclear how many Easterners really support the idea of autonomy. Although some 5,000 people have reportedly taken part in the “Congress of the People of Cyrenaica” ceremony, several thousand were protesting against it in Benghazi on Monday. Libya seems to be falling apart as the NTC is trying to work out a new electoral law ahead of the parliamentary elections in June. The latest draft of the law allocates only 60 seats in the country’s 200-member National Council to the East, while the West will have 102 representatives. The “Congress of the People of Cyrenaica” has rejected this latest draft, apparently due to its discriminatory nature. ­Libya’s east-west divide: Breakup inevitable? A painful breakup between eastern and western Libya is a real threat to the future of the country, believes Eric Denece, the director and founder of the French Centre for Intelligence Studies. “From the very beginning Abdul al-Jalil, the head of the National Transitional Council, and his crew have done everything to create such a breakup between western and eastern Libya,” he said. But this kind of outcome was written a long time ago even before the revolution began, Denece believes. For a long time Cyrenaica ruled the country under King Idris, before Gaddafi came to power and the people of eastern Libya wanted to take revenge and lead the country, Denece says. But after ousting Gaddafi they understood they are unable to hold power over the entire country and decided to “keep their riches” to themselves. “They don’t want to share the oil with the people of Fezzan and Tripolitania,” Denece says. Denece believes that the whole world is closely watching the situation in Libya, especially Egypt and the Gulf countries, which have always had their own interests in oil-rich Cyrenaica. Abayomi Azikiwe, the editor of Pan-African News Wire, believes that there will never be unity in war-torn Libya. He told RT there was no political program that would reunite all the various opposition groups led by anti-Gaddafi forces and backed by the US and NATO. 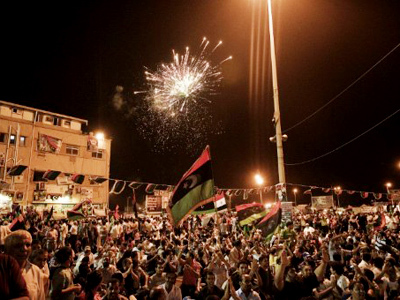 Libya one year on: Celebration or commemoration?